Requests for refunds must be received in writing (email) by the Transition Programs Office by 5 p.m. on the deadline below. NO refunds will be granted after the deadline; there are NO exceptions. 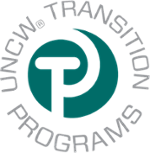 Please e-mail this information to transitions@uncw.edu. A refund check will be in the student's name and will be mailed within 5-6 weeks of receipt. If you have a credit on your Orientation registration account for any reason, you have to follow the formal refund procedure above. We will not automatically know if you have a credit on your account. It is your responsibility to notify our office by the appropriate deadlines listed above. No longer planning to attend UNCW? Students who are no longer planning on attending the University need to notify the Admissions Office to cancel their admission and can do so via this withdrawal form. If students have on-campus housing, they will need to notify Housing and Residence Life in writing regarding their housing.